Dear reader you can remember that we have published British guidelines to provide whisper concrete. In that post we came to know the term continuously reinforced concrete pavement (CRCP). So far we learned to provide a quiet concrete pavement by using either exposed aggregate concrete surfacing (whisper concrete) or re-grooving method called concrete grinding and grooving technology. Regarding whisper concrete and grinding and grooving we have published several posts. So far we have learned to treat a worn out concrete pavement with either resurfacing or re-grooving. In this post we will learn about the main structural concrete pavement upon which the treatments are provided. Our aim is to provide a concrete pavement that naturally reduces noise pollution and with application of treatment it is ensured an excellent quiet riding surface for vehicles. In this construction method engineers provides longitudinal joints rather providing transverse joints. This is achieved by constructing a concrete pavement with continuous reinforcement in longitudinal directions. By eliminating transverse joints, this pavement offers a excellent smooth riding surface. This joint less concrete pavement practically does not need maintenance. As we know that a joint is a weak plane, which can be penetrated by moisture, chemicals or differential settlement of concrete pavement can be occurred. We have published many posts regarding slab foundation raising, repairing and rehabilitation. You can read this for additional information. The elimination of transverse joint is not mandatory in bridges or the structural paving systems. In the United Kingdom this method of paving concrete used as structural base for road. Now-a-days its use is increased extensively because of tough and free from maintenance behavior. Regarding skid resistance it is treated with whisper concrete or grinding and grooving techniques can be used to maintain it. This treatment of re-grooving method also reduces noise pollution. Modern highway engineering have taken concrete pavement as a substitute of traditional flexible pavement and overlaying with asphalt as technological advancement and raise of asphalt prices makes both options have same initial cost. 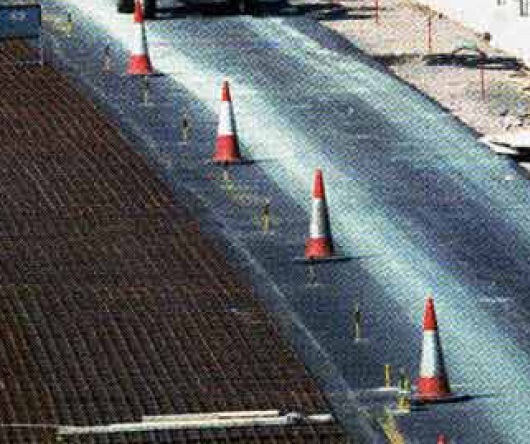 As concrete option have more longevity and less maintenance requirements, concrete is dominating as pavement constituent materials rather asphalt or bitumen. I like very much your valuable information and check again here frequently. Concrete resurfacing is an easy and economical way to add appeal and value to your home. Concrete resurfacing can make your outdoor areas look like new.